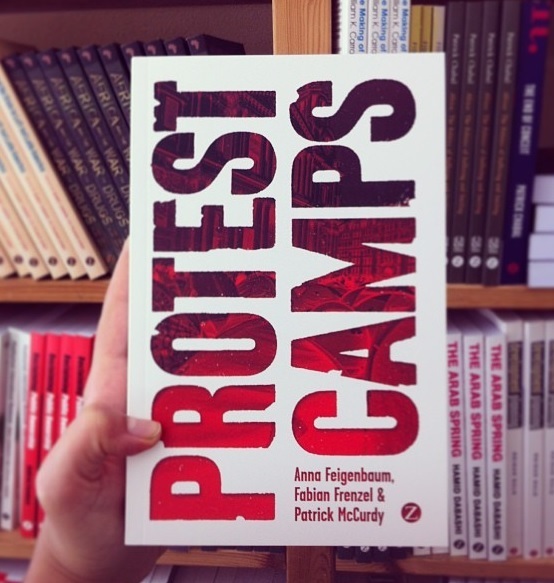 Protest Camps hits indie bookshops and digital shelves worldwide today. Co-authored by Bournemouth University’s Dr. Anna Feigenbaum, Fabian Frenzel (Leicester) and Patrick McCurdy (Ottawa), Protest Camps takes readers on a journey across different cultural, political and geographical landscapes of protest. From Tahrir Square to Occupy, from the Red Shirts in Thailand to the Teachers in Oaxaca, Protest Camps covers over 50 different protest camps around the world over the past 50 years, offering a ground-breaking and detailed global investigation. Drawing on a wealth of original interview material, the authors argue that protest camps are unique spaces in which people enact new forms of democratic politics.